Subscribe to The Fruit Grower magazine and receive all the top tips to grow your own fruit.The Fruit Grower, contains a broad range of news and features that help to keep commercial growers informed about industry developments and current best practises in the growing of top fruit, soft fruit, stone fruit, hops and cider apples.The Fruit Grower Magazine is an exclusive and best selling magazine which caters for fruit growers across UK. Fruitgrower magazine is a monthly title and has all essential news and up to date information from the world of Fruit Growing. This magazine was launched in the 1986. The magazine still continues its publication with its long credibility. 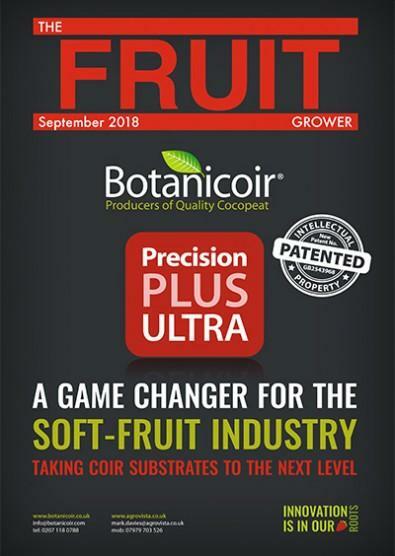 It includes all latest news and up to date information, in depth and interesting technical features, machinery features, management features, farm visit, classifieds, essential and practical advice and lots more.The entire team working behind the success of this magazine has in-depth knowledge as well as a passion for fruit growing.Subscribe to The Fruit Grower magazine today and become the best fruit grower you can be. Be the first person to tell us what you think about The Fruit Grower and you'll save £2.50 on your next purchase!